As each patient's response is unique, Constance Therapeutics offers several Discover Pack options which allow patients to discover which ratio and dosage they prefer or find helpful. VAPE PEN KIT with .5g High CBD cartridge and your choice of a .5g High THC Cartridge (Choice of Hybrid, Indica, or Sativa). 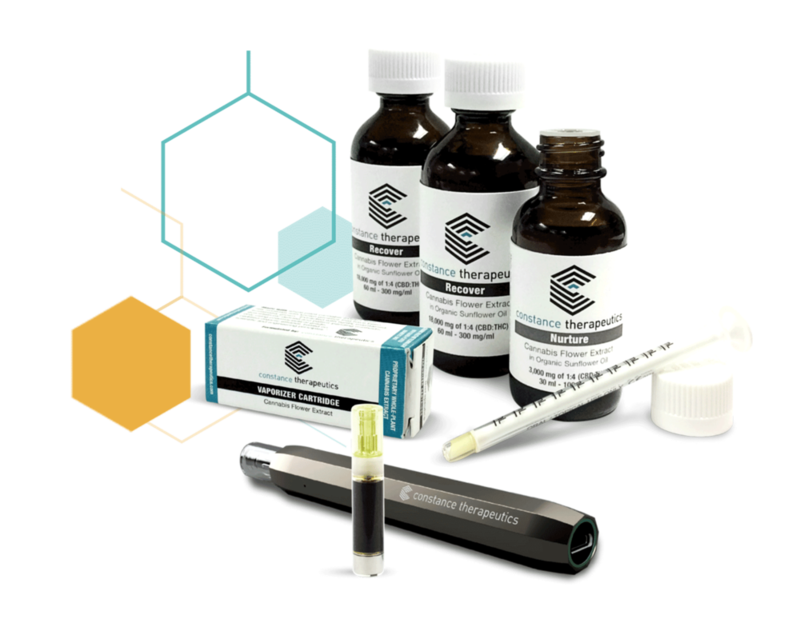 Constance Therapeutics’ patent-pending cannabis extract formulations contain a viscosity-reducing agent and blend of organic essential oils that create a calm, soothing inhale and improve the bioavailability of cannabinoids and terpenes. Our vape cartridges were developed specifically to provide patients with options that do not introduce solvents or harmful additives. Constance Therapeutics’ cartridges pair with Jupiter Research’s battery-charged “Liquid9” vaporizer pen – unique in its sophisticated technology and ease of use – to administer the extracts in vapor form. Jupiter’s commitment to innovation reflects Constance Therapeutics’ first-in-space dedication to producing true medicinal products. Constance Therapeutics also offers two unique 39k Protocol ratios that may stimulate the body’s endocannabinoid response: 1:1 or 1:4 (CBD:THC). By attenuating throughout the course of a protocol, patients orally ingest 39,000 mg contained in 65 grams of cannabis-rich extract compounds over an approximate 90-day period. Vape Pen Kit, with 1g High CBD cartridge.